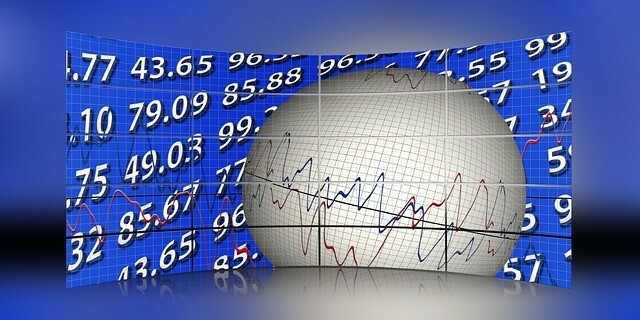 Volatility – following on from a previous note in relation to Volatility = A simple explanation, https://www.bestpricefs.co.uk/blog/volatility-a-simple-explanation/ we thought that a note in relation to Volatility – How to take advantage of Market movements with Structured Products/Investments may help. Volatility is a measure of the movement away from the normal trend of something or how far something moves away from the average. In this case the ‘something’ refers to an index – FTSE 100. What does this mean for Structured Products? When Options and more importantly structured products are priced many factors are taken into consideration, one of the key measures being volatility! If the FTSE 100 has low volatility it will be viewed as less likely to fall significantly and therefore risk premiums are reduced. With an increase in volatility the view of significant drawdowns increases. This directly affects the coupons of structured products as they are determined by options pricing driven by volatility. With the above information In mind, if your opinion is that the FTSE 100 is fundamentally robust, and allowing for an economic downturn, you feel the index in subsequent years as it has done historically it would recover; an opportunity arises. Investment and political noise creates concern which often increases volatility, although the fundamentals of the economic environment remain robust. Many investors use the Warren Buffet approach with his value investing, if he likes the fundamentals of a company he waits for the market to misjudge the short-term picture and then aims to purchase the stock when the market has beaten up the share price. When markets become increasingly volatile and a structured product’s yield increases then we suggest that long term investors should consider purchasing ‘value’ . Dura Capital have recently launched two products which have taken advantage of this volatility as you can see below. The shape and potential for strong returns have increased, which is why we recommend consideration be given to investing in quality products, such as these two plans. · Reducing Kick-out/auto call barriers and final level at 75% (the FTSE 100 can fall up to 25% in the final year and you will still receive 8 x 8.5%). · 12.4% p.a. if the FTSE 100 is at or above its level between now and 7 years. · Auto call barriers are 100% throughout, if the FTSE 100, at some point over the next 7 years, is up or above its current level you would receive a positive return of 12.4% x the amount of years it’s taken for the FTSE 100 to get to that level. As always, financial advice is a personal recommendation to the investing entity. This article is not to be taken as receiving advice to invest. If you require advice, simply get in touch so we can provide you with a suitability recommendation. Past performance is not a guide to future performance and unit price of assets can fall as well as rise.